Bradley Birkenfeld isn’t done yet. In 2012 he received a whistleblower award check of $104 million from the IRS. That check came just weeks after being released from a 3 year prison sentence. After going to jail and getting over $100 million, one might think that Birkenfeld might ride into the sunset. That’s not Bradley and he isn’t done yet. Birkenfeld is the highest paid whistleblower in U.S. history. In 2009 he blew the whistle on Swiss bank UBS and told the IRS how the bank was helping Americans hide their money and evade taxes. Ultimately UBS would pay a fine of $780 million. Birkenfeld’s whistleblowing experience had a bittersweet ending. For his role in helping Americans hide their accounts Birkenfeld was prosecuted and went to prison. He would also receive a $104 million check from the IRS. Birkenfeld’s prosecution was one of the first for helping Americans evade taxes by use of offshore accounts. His prosecution set off a riff between the Justice Department and the IRS. 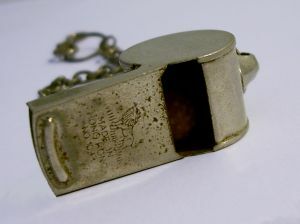 Generally the government doesn’t prosecute whistleblowers. Who would ever come forward if doing so meant a trip to the “Gray Bar Hotel”? Other foreign bankers have been reluctant to come forward, although we doubt DOJ would ever again prosecute another foreign bank whistleblower. Birkenfeld was the trailblazer and we think the Justice Department has learned something from that incident. One of Birkenfeld’s former UBS clients was billionaire developer Igor Olenicoff. Shortly before UBS began cooperating with the Justice Department and IRS, Olenicoff was himself prosecuted. The charge? Filing a false tax return. Prosecutors say he failed to disclose $200 million in a Swiss account. After pleading guilty, Olenicoff sued UBS and Birkenfeld. His lawsuit claimed that neither the bank nor Birkenfeld had explained that he needed to declare his offshore account or income. That suit was dismissed after a judge ruled that Olenicoff’s guilty plea meant he had knowledge of his tax obligations. After Olenicoff’s lawsuit was tossed, Birkenfeld and UBS then sued him for malicious prosecution. Last month a California state court judge tossed that lawsuit claiming that all three parties had unclean hands. We haven’t read the last chapter of this saga yet. When I saw Bradley last week during the National Whistleblower Appreciation Day celebration in Congress, he said that the fight was far from over. Knowing Bradley, he is probably right. Foreign bankers with information about how their banks helped Americans hide accounts are still eligible for huge whistleblower awards. Getting them to step forward post Bradley Birkenfeld’s prosecution has been difficult. We believe if handled correctly, prosecution can be avoided, however. Have information about the substantial underpayment or under-reporting of U.S. taxes? 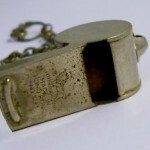 We have helped our whistleblower clients collect over $100 million in award monies.